For over 16 years TOTAL CHAOS FABRICATION has been affiliated in the sport of off road participating as racers, chasers, spectators, weekend warriors, customers and a manufacturer. Over these years CHAOS FABRICATION have seen the industry progress with products and designs along with components and technology. Their commitment to customer service and building the highest quality bolt-on TOYOTA suspension systems and accessories has escalated TOTAL CHAOS FABRICATION to a level of global racing recognition. The fabrication specialists at TOTAL CHAOS FABRICATION pride themselves on manufacturing only the highest quality hand crafted parts. TOTAL CHAOS FABRICATION know as a customer the reliability and dependability of your parts determines your enjoyment on the trail. Shipping: Free shipping via UPS Ground within the Lower Contiguous 48 United States. Please contact us for international orders. 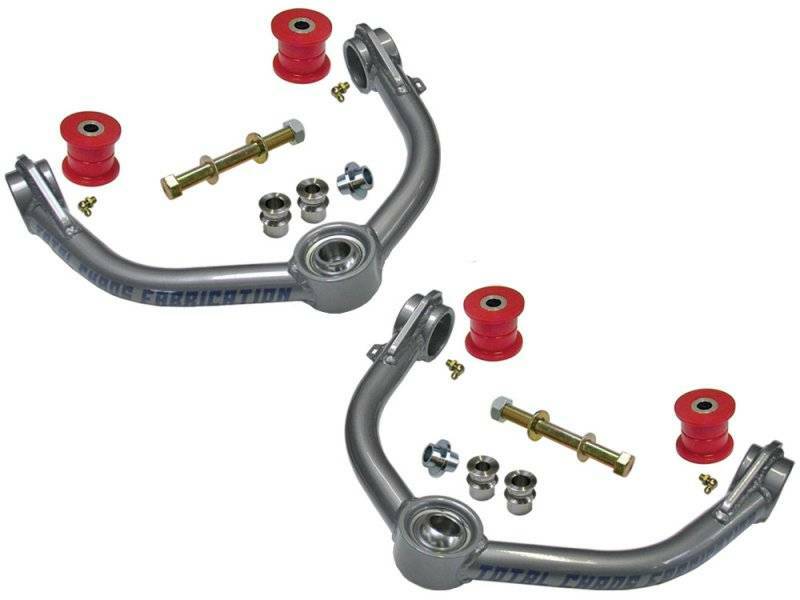 Dodge Ram 1500 4130 chromoly tubular upper control arms are 100% bolt on and hand crafted in the U.S.A.
Total Chaos UCA's are designed with added caster to aid in retaining factory alignment specs when aftermarket lift kits are installed. This reduces the darting or wandering in the vehicle's steering when 2-3" lift kits are installed. Upper control arms combined with extended length coil over shocks will allow for up to 2" of additional wheel travel. Shipping Remarks: Free shipping via UPS Ground within the Lower Contiguous 48 United States. Please contact us for international orders. Copyright © 2019 DownSouth Motorsports. All Rights Reserved. Shipping is free via UPS Ground in the lower Contiguous 48 US States. Shipping is NOT free to the following USA States: Guam, Puerto Rico, Alaska,Hawaii. International customer's will need to contact us for a shipping quote for their country prior to purchasing any of our products and maybe eligible for product discounts. We offer UPS Worldwide Expedited, DHL and USPS International Express shipping. Contact us for a discounted shipping quote.